Ever wonder what all those award winning celebrities are doing right? Not just in their career, or in the gym, but DANG — that hair is H.A.M! Yea, us too! So here are what your favorite R&B artists are using on their hair right now to get the no frizz, "I win Grammys" look. 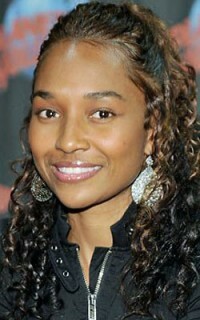 Chilli has fine, Type 3a, color treated curls. She is 100 percent natural, no perm or texturizer. However, curl definition and hold are important to her given her hair type and humid climate (reppin' Georgia!). CURLS Gel-les'c is her fav. Other products of choice: Curlicious Curls Cleansing Cream, Curl Ecstasy Hair Tea Conditioner and Quenched Curls Moisturizer. One of Tippi Shorter's, Alicia's hair stylist, clients’ biggest concerns is prolonging the life of her look and eliminating frequent hair washing. She often has to get Alicia Keys’ second day curls ready in a jiff for photo shoots. Her solution? CURLS Quenched Curls Moisturizer! She spritzes this light serum all over Alicia’s curls and runs it through her hair to revitalize her ringlets, fight frizz and restore shine. It’s a convenient, all-in-one solution when a wash is simply not possible. It is a perfect curl refresher and deodorizer for day old curls! Keep in mind, curlies, that how often you wash your curls depends on your curl type and pattern. Type 2 wavies should wash about once a week, Type 3 curlies about once a month and type 4 kinkies about once every other month. Between shampoos, co-wash your curls as needed. Trust us on this, the frizz will disappear and definition will take its place! 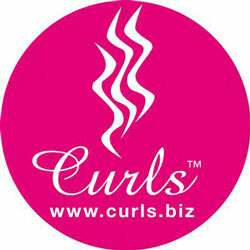 Other products of choice: Curlicious Curls Cleansing Cream, Curls Coconut Sublime Conditioner and Curls Souffle. Ashanti likes to rock protective styles when she isn't on the red carpet. Protective styles are great for ensuring that your curls stay healthy, and they encourage growth (plus length retention!). One of her favorite protective styles is French braids. To get her look, use Curls Whipped Cream to add moisture after braiding your hair. For extra protection, especially in the winter months, tuck your hair inside a hat to keep your head warm, or use a decorative scarf to protect your curls from the harsh winter wind. Other products of choice: Pure Curls Clarifying Conditioner, Curls Ecstasy Hair Tea Conditioner and Curls Milkshake.